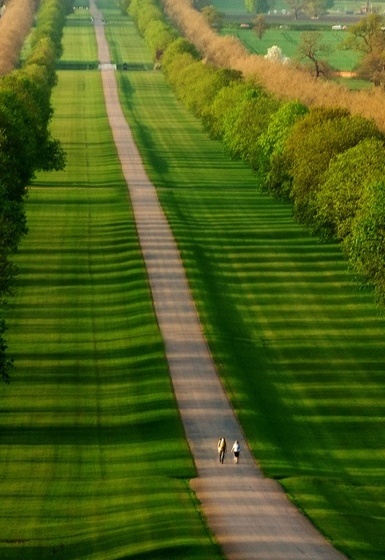 Windsor Great Park, Berkshire, England. Windsor is a town and unparished area in the Royal Borough of Windsor and Maidenhead in Berkshire, England. It is widely known as the site of Windsor Castle, one of the official residences of the British Royal Family. The town is situated 21 miles west of Charing Cross, London. It is immediately south of the River Thames, which forms its boundary with Eton. The village of Old Windsor, just over 2 miles to the south, predates what is now called Windsor by around 300 years; in the past Windsor was formally referred to as New Windsor to distinguish the two.